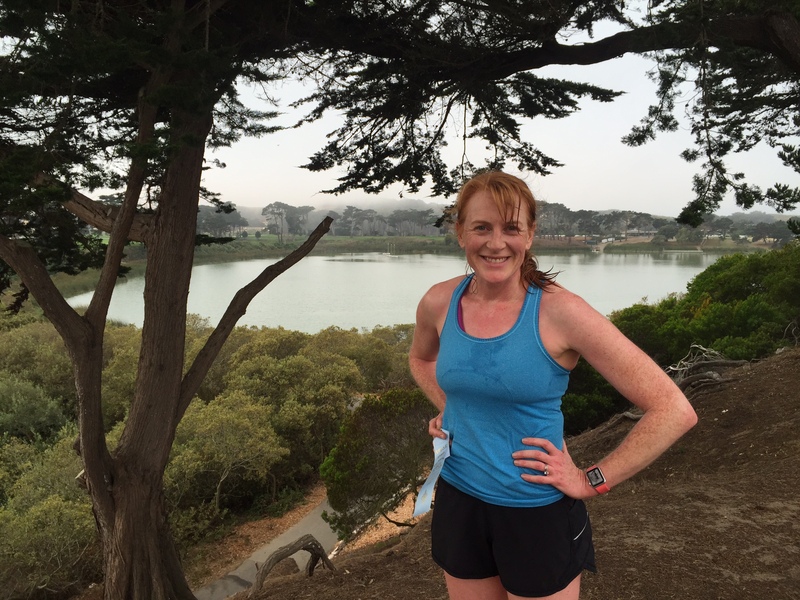 The Dolphin South End Runners host more than 40 races each year throughout the greater San Francisco area. 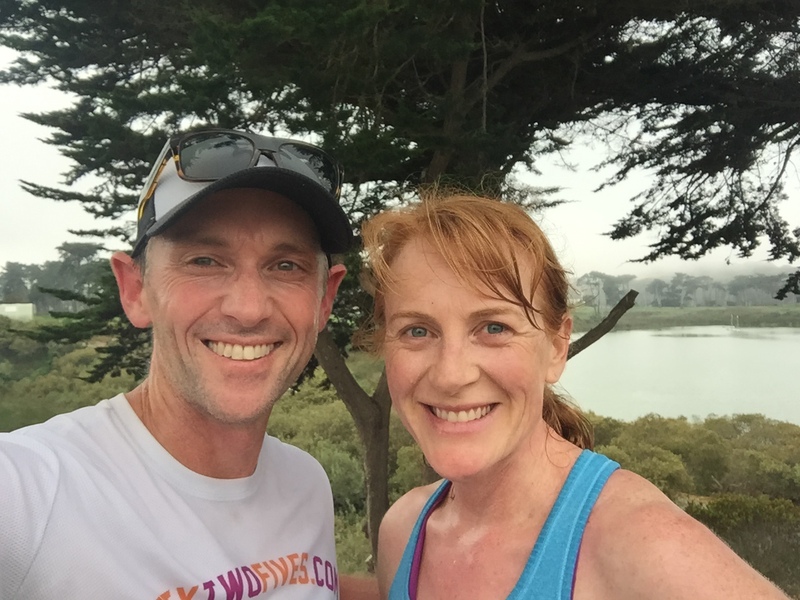 We decided to run their Lake Merced 4.5 mile race this morning, and enjoyed a cool, foggy San Fran start to our summer morning. A foggy SF day at Lake Merced. Selina came 3rd in the women’s single-lap race. Lake Merced is a large lake in San Francisco, with a popular paved 4.5 mile pedestrian trail around its perimeter. The area is largely residential, and it’s surrounded by reasonably busy surface streets. That’s probably under-selling it: when there’s hundreds of runners circling the park at any one time in both directions, it has a great feel of community and it’s a fun thing to be doing on a Sunday morning. This was hands-down the cheapest race of the year. Race day sign up is $5 for non-members, and $3 for members. For that, you get a bib and a ribbon when you’re done, and they set up a finish line and it’s timed (without the chip — just remember your time when you’re finish, it’d not that hard). And there was watermelon and a water station. A sweet deal! Like Race #29, we put in a slightly-less-than-max-speed effort, in the spirit of surviving another 22 races this year. Even with that, and Selina’s unscheduled restroom break in the middle of the race (that’s a first! ), she managed to finish as the 3rd woman. I have no idea where I finished, but I am pretty sure it wasn’t in the top 20 men. See you next time for Race #31. Previous PostRace #29: Brazen Racing Trail Hog 10kNext PostWeekly update: 30 races and $42,914 raised!